Mid-late October is usually an excellent time to fertilize our trees and shrubs. That’s because canopy growth is shutting down and root growth is starting to ramp up. However, the hot and dry conditions we’ve seen in a lot of areas this August and September are not supportive to absorption of water and dissolved nutrients by roots. Applying fertilizer now is not practical as roots will be unable to utilize the fertilizer salts and may cause issues where soils are dry. Assess soil moisture by digging into the landscape soil a good 6-10 inches down. Feel the soil in your hand. You want to feel some moisture and see the particles adhering together, especially in loamy soils. Many areas are quite dry, unless they have been receiving supplemental irrigation. I think a lot of us got so used to the frequent rains of spring and summer, that we just welcomed the sunny, warm weather in September and never gave too much thought to irrigation. And for that, I believe a lot of new plantings are really suffering. Up to half of the annual fertilizer requirement may be applied to field and landscape plants, after shoot growth ceases (mid-September to mid-October) and soils are moist. Roots will grow and absorb water & nutrients whenever soil temperatures remain above 5°C (conifer roots will grow at even lower temperatures, into December!). So if you are fertilizing this fall, applications to deciduous trees should come before evergreens. By splitting annual fertilizer requirements into separate fall and spring applications, we can actually maximize plant uptake of important macronutrients like nitrogen. Potassium is another important element in fall fertilizing and can also help improve tree health. Always conduct a soil test before adding nutrients like phosphorus, since so many soils already contain adequate amounts of this nutrient. 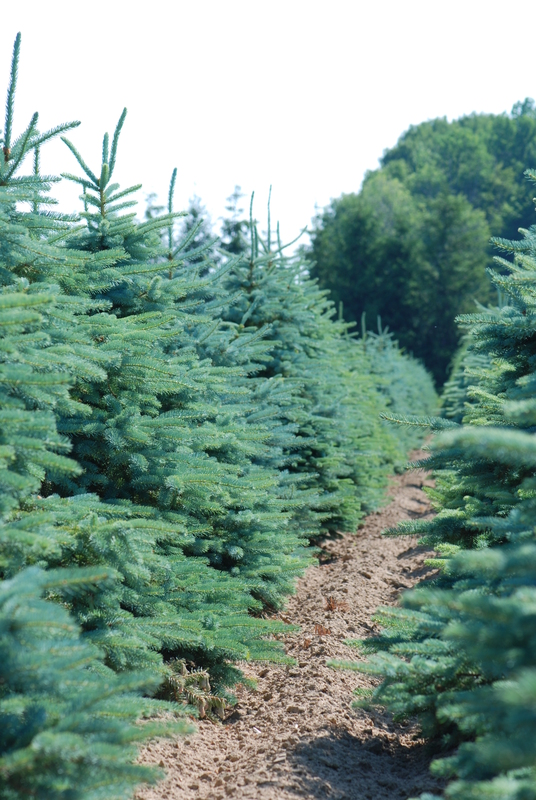 For more information on fertilizing trees, see OMAFRA Guide 841, Guide to Nursery and Landscape Plant Production and IPM. Several evergreen nursery growers have shifted much (or all) of their fertilizer applications to the autumn and have reported much better colour, quality and improved growth the following spring. Soils in the autumn are usually warmer and less saturated than they are in the spring and these conditions lead to better nutrient uptake and reduced losses due to runoff. Have you seen the great videos and images from Laura at Garden Answer? This entry was posted in landscape, Nursery Production, Plant Nutrition and tagged fall fertilizing, Jen Llewellyn, onnurserycrops. Bookmark the permalink.